miso or sauerkraut. Fermentation is a process whereby bacteria or yeast are added to the food source which breaks down the starches and carbohydrates (sugars) in the food into either alcohol or organic acids. The process is not only useful to help preserve food ­– research shows that it also helps to increase the level of nutrients in your diet (vitamin B’s, Omega 3’s, and even some strains of probiotics). And, it helps remove some of those bad nutrients (yes there are bad nutrients), such as phytates and lignans, which are sort of like a thin covering on nutrients in some foods that can cause digestive issues. Food fermentation helps to break down this thin mass-like covering, so you can better absorb the nutrients. 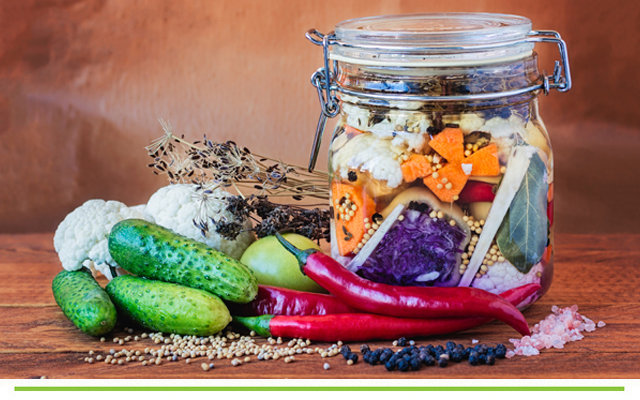 Eating fermented foods is a great way to get added probiotics into your daily regime, which have proven benefits for improving digestion, cognitive function and boosting immunity. Some great compounds are produced during fermentation, such as the production of conjugated linoleic acids (CLA), which have a blood pressure lowering effect and fat burning benefits. Other compounds that are produced have anti-microbial effects, anti-carcinogenic, antifungal and antioxidant advantages. Fermented foods support good gut health, which supports good immune health. 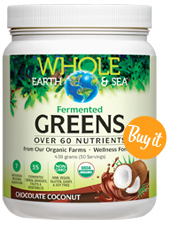 Fermented supplements, Whole Earth & Sea Fermented Greens, and Whole Earth & Sea Fermented Greens & Proteins. 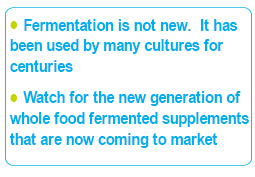 Other manufacturers have introduced Fermented Maca, Grasses and more. Consider increasing your yogurt intake, but make sure the label says ‘live active cultures’ and stay away from the ones with added sugar and syrups. Kefir (drinkable yogurt) contains different types of beneficial bacteria and may be surprisingly more nutritious. It also supplies high levels of probiotics, complete protein, vitamin B12, and other essential minerals. Sip on Miso soup, a traditional Japanese paste that’s made from fermenting soybeans. 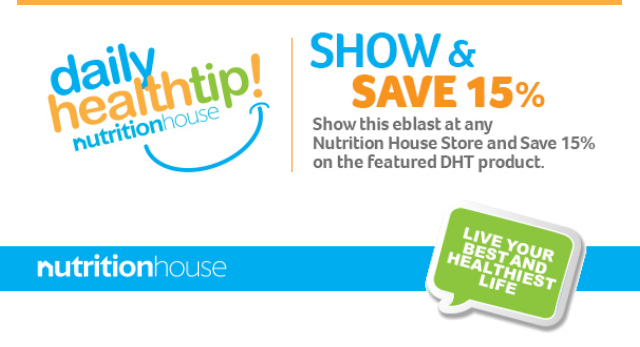 Not only is it a complete protein, but it also stimulates the digestive system. Tempeh burgers or tempeh nuggets are the perfect plant-based alternative to an animal-based protein. Switch to sourdough bread, as the starches and grains from the bread are predigested from the bacteria and yeast, making it easier to digest and a much healthier option than any processed white bread. It’s also typically lower on the glycemic index scale. Before you jump all over the Kombucha craze (a fermented drink made with tea and culture of bacteria and yeast which has many benefits), be sure it is not pasteurized, so that it maintains the probiotic benefits. It will have a shorter shelf life, but it is much better for you. Also, brands do matter in terms of quality. Unpasteurized, poorly manufactured, cheaper products may cause bacterial infections.